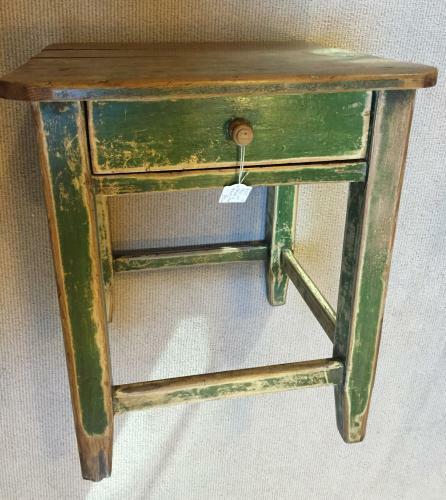 Very nice antique bedside table stool in lovely original worn green paint. Drawer to front. So nice we had kept it aside for one of our holiday cottages but it did not get used in the end.